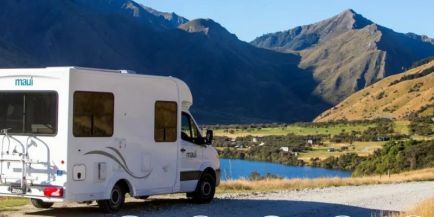 The Kiwi 2 Berth ST is a superior vehicle designed for couples travelling in style. The 2017 model LDV V80 100KW Turbo is fully packed with home comforts – shower and toilet, hot water, 2 gas burner cooktop, Radio, DVD player, air conditioning in drivers cab, diesel heating in main cab and more. Driven by a powerful yet economical 2.5L diesel engine. The large vibration free mirrors make for greater viewing with the added benefit of spotters and mirror indicators. There are 3 seats, but double bed sleeps 2 adults only. Suits 2 adults and 1 child.